Paradise Valley, Arizona to/from Phoenix Sky Harbor International Airport (PHX). Great Flat Rates! More often than not, our town car flat rate fares to and from Paradise Valley and the Phoenix Airport (PHX) are less than taxis charge for the same service. So, why travel in a taxi when you can travel to the airport in style and comfort in any one of our luxury vehicles. >> VIEW OUR RATES. A Luxurious Vehicle Fleet. Whether you are a single executive, traveling couple or a large group, Roadrunner has the right vehicle for you. Depending on the amount of passengers, Roadrunner Limousine’s fleet includes town cars, limousines, SUV’s, passenger vans and even 30+ passenger coaches. All our vehicles are clean, comfortable, private late model luxury vehicles equipped with GPS Navigation systems. 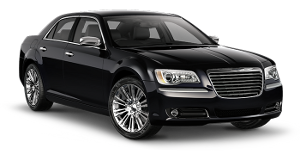 So, why take a bumpy taxi from Paradise Valley to PHX when a luxury vehicle is available at Roadrunner Limousine? Roadrunner Limousine, serving Paradise Valley and Phoenix, Arizona, provides exceptional service for its executive clients. Our executive guests expect reliable, convenient and comfortable transportation to or from Paradise Valley and the Phoenix Sky Harbor International Airport. As important as it is to provide our executive passenger with optimum service, working effectively with their executive assistants and travel coordinators makes everyone’s job easier. For them, we have a state-of-the-art online booking and account monitoring system accompanied by a highly trained staff to help develop and execute the most sophisticated travel plans that any busy executive or corporate group might need. First Time Coming to Paradise Valley, Arizona – Did You Know? Paradise Valley is a small, affluent town in Maricopa County, Arizona, United States. According to the 2005 Census Bureau, the population of the town was 14,558. Despite the town’s relatively small area and population compared to other municipalities in the Phoenix metropolitan area, Paradise Valley is home to twelve resorts, making it one of Arizona’s premiere tourist destinations. It has expensive real estate, with a median home price at $1.74 million, with many exceeding $10 million and some over $40 million. It should not be confused with Paradise Valley Village, an official municipal designation, in northeast Phoenix, Paradise Valley, Phoenix, Arizona. For instance, Paradise Valley Community College, Paradise Valley High School, Paradise Valley Hospital, Paradise Valley Mall, and Paradise Valley Golf Course are all located several miles to the north of the town, in Phoenix. The town’s name along with all the other various entities bearing the same name comes from the expansive area known as Paradise Valley, that spreads from north of the Phoenix mountains to Cave Creek & Carefree on the north and the McDowell Mountains to the east.